Corbyn Head Hotel has been in the Rew Group since January 1999. The Corbyn Head Hotel is highly regarded in Torquay and has many accolades including an outstanding 80% AA Hotel Quality Rating & AA 1 Rosette for Culinary Excellence. 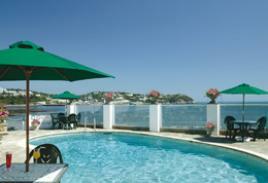 The Corbyn Head Hotel has 2 Function Rooms including the Orchid Suite, suitable for up to 45 people and the Harbour View Restaurant suitable for up to 90 people. 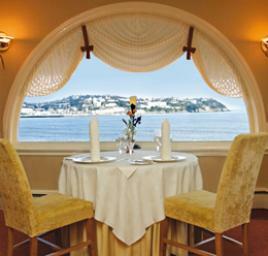 From its magnificent Sea front setting, enjoying uninterrupted |sea views across Torbay, the luxurious Corbyn Head Hotel boasts one of the most envied positions in Torquay. 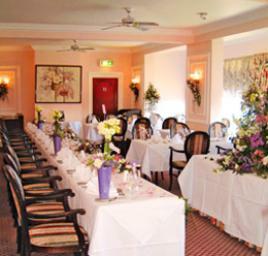 Corbyn Head Hotel mainly caters for Day Time Weddings, however since the creation of the Orchid Suite now caters for Evening events up to 50 people. 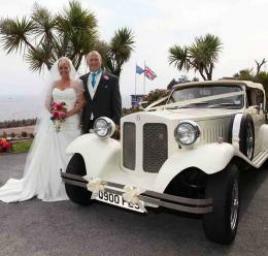 Telephone us ask for our Wedding Co-ordinator on 01803 213611.